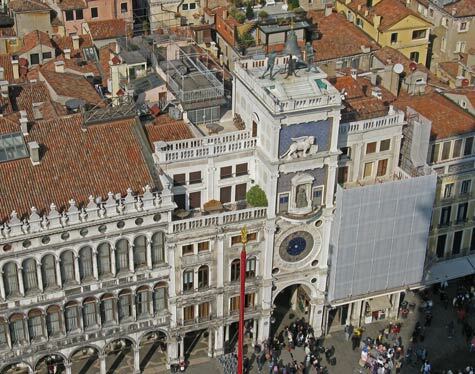 A beautiful old clock tower (Torre dell Orologio) can be found in San Marco's Square in the centre of Venice Italy next to the Procuratie Vecchie. This astronomical clock was built in the 14th and 15th centuries. This famous structure is sometimes called St. Mark's Clock Tower.